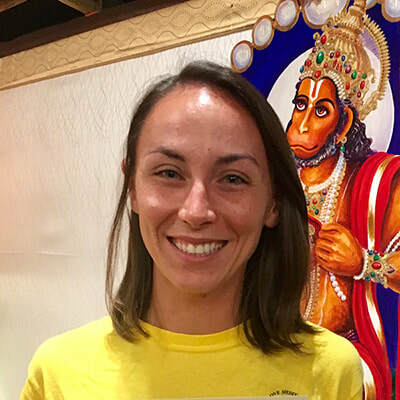 Rachel Leslie Morrison (RYT-200) first discovered yoga in her hometown of Pittsburgh, PA in 2007 and was immediately drawn to the deep, spiritual and emotional connection she found on her mat. While working in several high-stress jobs after college, she struggled to maintain balance, but always found refuge in yoga. Over the years, she explored different yoga styles and traditions and sought an immersive teacher training experience to deepen her personal practice and to be able to share the profound peace she has found in yoga with others. Before moving to Vermont in May 2018, she spent a month studying traditional hatha yoga at the Sivananda Ashram in the Bahamas and completing her 200-hr teacher training. She is incredibly grateful for the beautiful teachings in yoga philosophy and the clarity it has brought in her life. Rachel is the communications manager for the College of Agriculture and Life Sciences at the University of Vermont and is working towards her Masters in Public Administration.